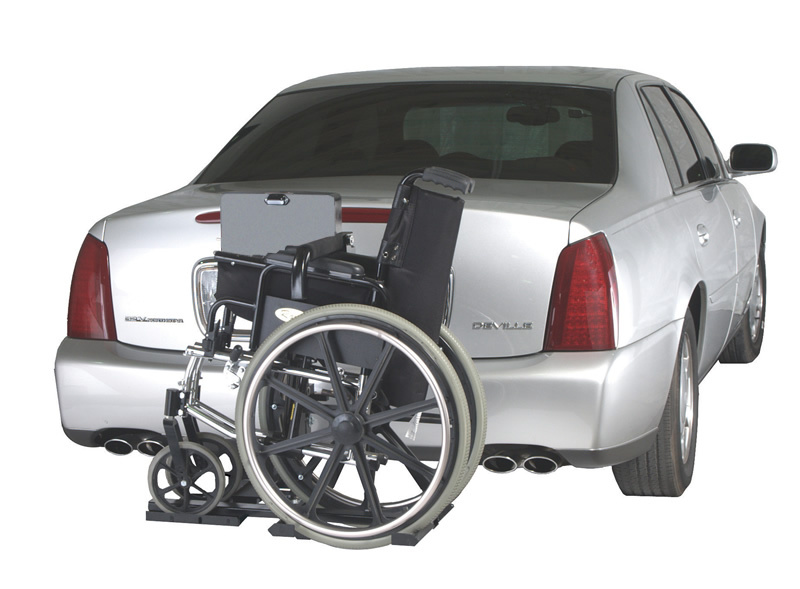 Power carriers are very simple to use and can be helpful for those who cannot push their mobility device up a ramp, like for a manual rack. They are also really simple to use and require less work than a manual rack, because they lock into place automatically. One of the few things you need to worry about with a power carrier is to make sure that your mobility device is compatible. Different power options are available for power carriers, depending on your preference. Just as with power lifts, you can wire your carrier to your car’s electrical system or use a separate battery pack. A number of power carriers have the ability to swing away from the back of the vehicle. This is a great option for those of you who want to be able to access the back of your vehicle or your vehicle’s trunk. Although it is possible to use a power carrier for your truck, it is not preferable in most situations. With a power carrier attached to your truck, opening the tailgate may be difficult or impossible. Also, you must consider the length of the arm because of the tendency for trucks to sit up higher off of the ground. There are also models available that are specially designed for RVs.